Find Hickory, NC Homes for sale. View Photos, Maps and MLS Data Now! Sunroom, covered deck area, oversized garage, basement workshop and more! MLS#3498527. Clickit Realty. Fully fenced backyard, storage building and another large grassy area, perfect for a firepit on a cold night! MLS#3498463. Jay Brown, Realtors. Need storage ... this home has a one car garage and stand up crawl space. MLS#3493938. 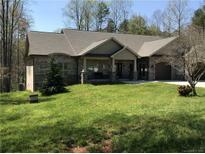 WNC Real Estate Inc..
Diamond Point Estates - Over 178' of beachy water frontage. MLS#3497877. Berkshire Hathaway Hickory Metro Real Estate. Northmoor - This home is a must see! MLS#3496931. Jay Brown, Realtors. Brookfield - Beautiful landscaping with low-maintenance grass that's green during the hot summer months! Large, private backyard. MLS#3498178. HoneyBee Real Estate. Great home in a great location! MLS#3498304. Weichert, Realtors - Team Metro. While the laundry is located in the basement there is a space available if one would choose to move to the main level. Check this one out early! MLS#3497830. Weichert, Realtors - Team Metro. Storage off carport, attic stair, and additional buildings in backyard. MLS#3489904. Century 21 American Homes. Rear deck & patio, circle drive in front. MLS#3497958. Coldwell Banker Boyd & Hassell. Call today to schedule your private viewing of this great home! MLS#3497446. RE/MAX A-Team. Also featuring laundry room, wrap around back deck, circular drive, & double garage. Call Today! MLS#3497368. RE/MAX Legendary. This is a piece of heaven tucked away from the hustle & bustle of everyday life. MLS#3497538. Coldwell Banker Boyd & Hassell. There is also a bedroom, full bath and two other rooms that could be used as office or work out room. MLS#3497170. Weichert, Realtors - Team Metro. Perfect home for those seeking privacy and security. MLS#3493834. Invision Group Inc. Distinct appearance makes home unique w/Tudor style which embodies the romantic ideal of an English County Manor surrounded by lush gardens & open green space. MLS#3496683. Berkshire Hathaway Hickory Metro Real Estate. North Pines - This house is a must see and move-in ready! MLS#3495684. Boyd & Hassell Industrial-Commercial. Unfinished area in basement has garage, shop and laundry/utility room with sink and toilet. Roof replaced in 2016. MLS#3496835. Coldwell Banker Boyd & Hassell. Back deck off the kitchen overlooks the fenced back yard that's perfect for play and/or pets. MLS#3497063. Weichert, Realtors - Team Metro. Home has replacement windows, gas furnace, central air conditioning, and is located in the Oakwood Elementary District. MLS#3496626. Berkshire Hathaway Hickory Metro Real Estate. Shuford - Just around the corner from LHCC clubhouse, too! MLS#3496554. Berkshire Hathaway Hickory Metro Real Estate.